Replacement: None at this time. We are no longer carrying the LSM303DLMTR in our catalog. This page is for reference only. 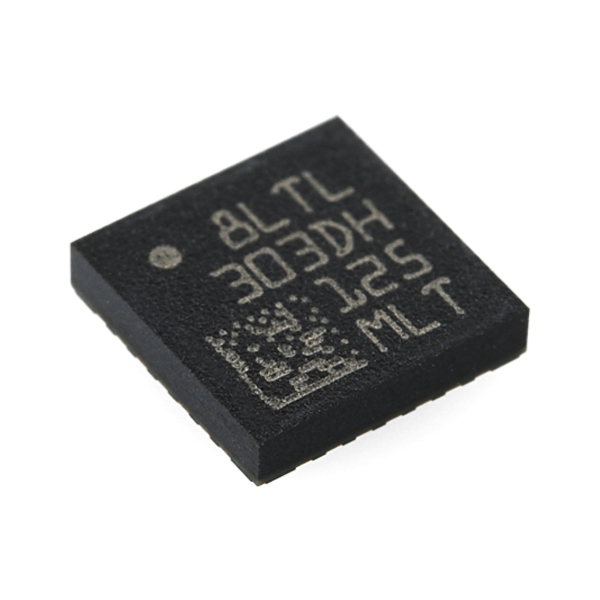 The LSM303DLMTR is a triple axis MEMS accelerometer combined with a triple axis magnetic sensor. This arrangement allows for the LSM303 to perform 6D orientation detection. 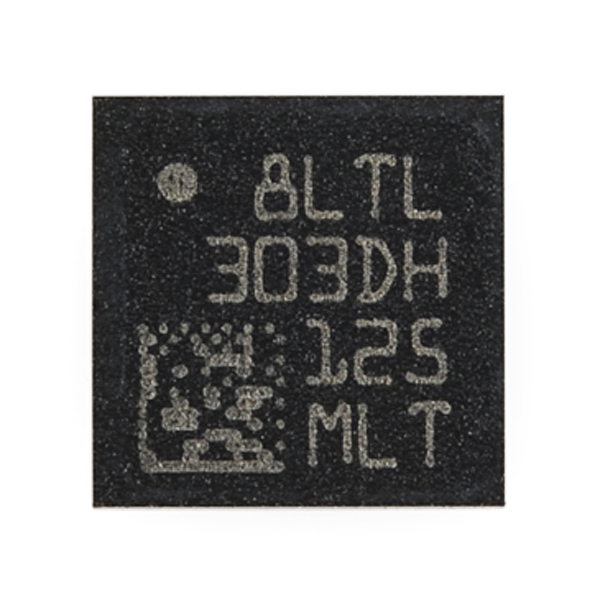 You can communicate with the sensor using a simple I2C interface. Analog supply voltage should be between 2.16 to 3.6VDC. Check below for a breakout board! This one is the LGA28 5x5 packge(footprint), am I right? And this was like 3 years ago! Damn. 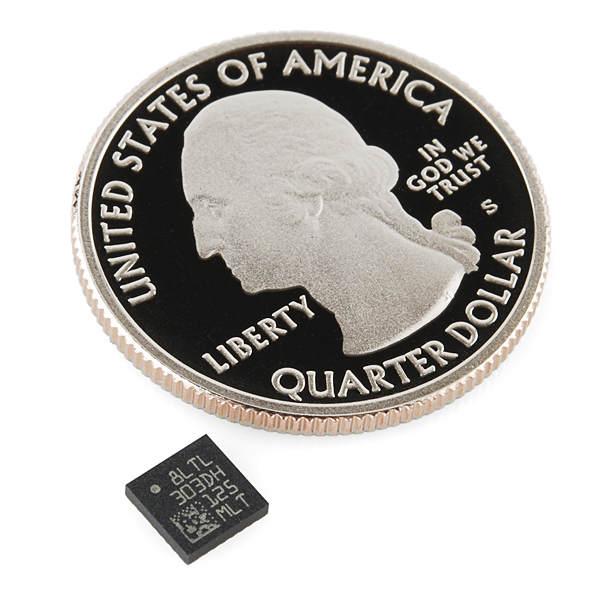 This is a great price for both a magnetometer and accelerometer on the same die. But note that unlike more expensive compasses that do everything for you, this one gives you the raw values and requires you to do the math yourself (which isn't difficult). 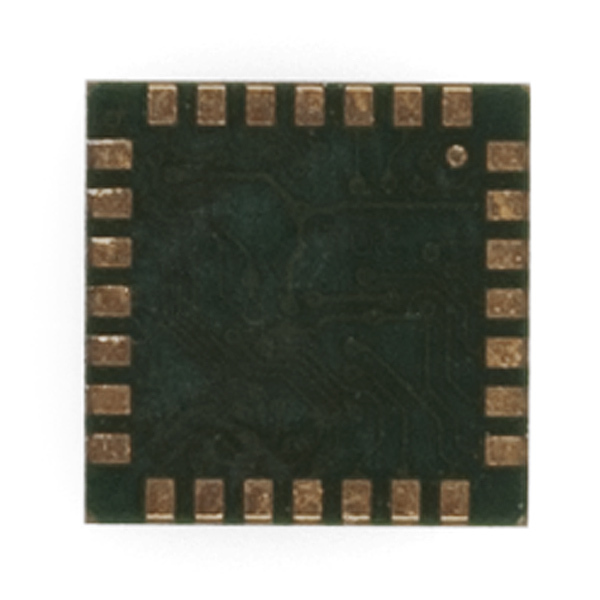 But since you'll typically be hooking it to a microcontroller with those capabilities anyway, it's a great way to do a bit of work on the software side to save a lot of cash on the hardware side. Can we get a datasheet for the DLMTR specifically? The one linked is still the LSM303DLM and I'm trying to figure out the difference between them. From my reading of the datasheet only apparent difference is that the "TR" stands for "tape and reel" rather than the chips being delivered in trays. The only results according to Adobe's find command for the characters or "LSM303DLMTR" or "DLMTR" appear together in the document is within Table 1 which is about order packaging.